Both machines are fully programmable guillotines are regularly maintained to ensure they provide clean accurate cutting in all circumstances. They enable us to trim paper at large sizes as big as B1 right down to smaller than a business card. Our Heidelberg creasing machines are capable of producing a variety of operations including Kiss-Cutting, Die cutting, Creasing, Perforating & Embossing. This process used to cut complex shapes or pocket folders from sheets of paper using a cutting die. The machines can work on a minimum sheet size of 297mm x 210mm up to a maximum sheet size of 560mm x 820mm. 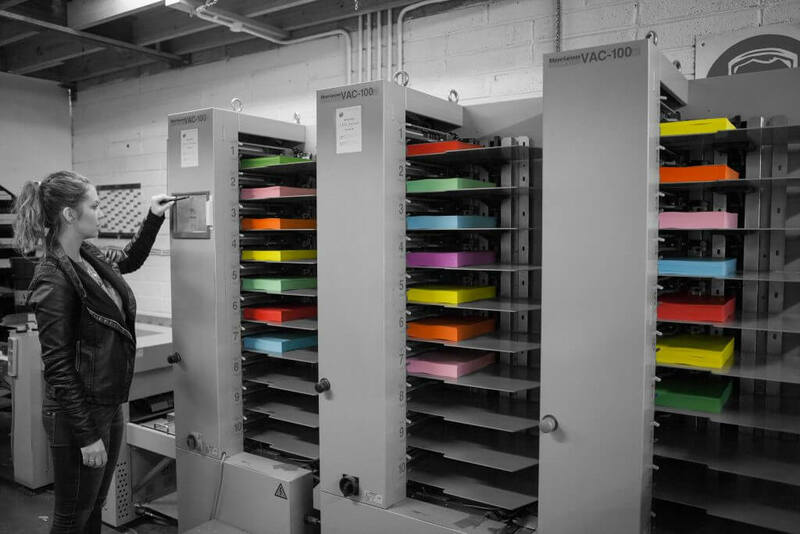 We provide bespoke booklet printing to suit your every need on our Horizon SPF-200A Booklet Making System capable of producing over 3300 booklets per hour, including A4 company reports, newsletters, advertising brochures, yearbooks and more. 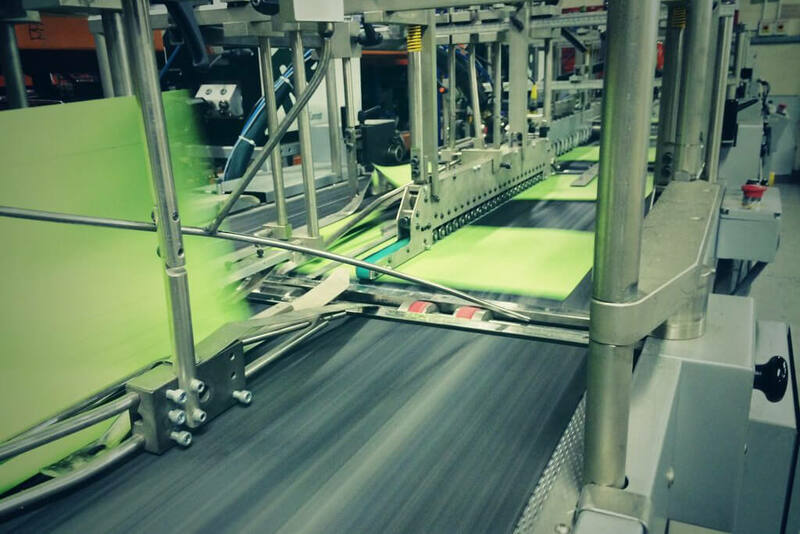 We can collate up to 30 sheets at a time on our horizon vac-100 at up to 8000 a4 sheets per hour. 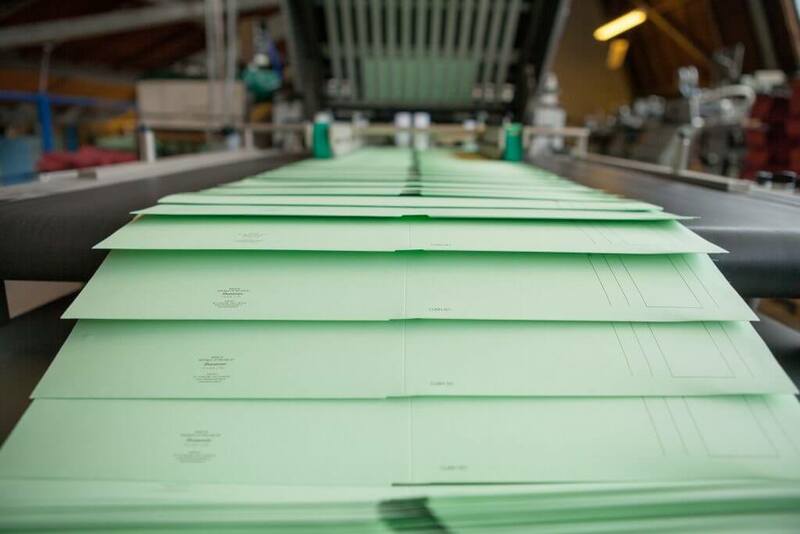 We pride ourselves on having 3 state of the art Inline Glue Folding Machines which give the very highest quality,Fidia Comb iUnica and Fidia Garda due of which can both produce capacity folders with a concertina fold and a variety of folds up to 485 gsm. We also have a moll marathon for high speed gluing of presentation folders. Scoring is a method of reducing paper stiffness along a line in order to aid in folding. Press scores (litho score) and old style folding machine scores (e.g. steel scoring blade between steel or rubber collars) are two examples. They simply weaken the sheet to aid in folding we have a few methods of doing this by using a Rollem scoring machine for short runs and a Heidelberg cylinder for large runs. Shanowen Files is Ireland largest manufacturer of bespoke tabbed dividers. We make plain or numbered tabbed divider sets with or without mylar,we can tab cut collets and drill up to 4 holes,we can also insert them into binders or folders. We use heat Sealable Edge Reinforcing Film for Reinforcing , this can be applied to the back or the front of the binding edge to make your indexes resistant to ripping out at the punched holes, this is the most secure way to prevent your important documents and papers from ripping from frequent handling. We have a stahl folder for all of our litho work which can fold in many different configurations. For digital work we have a Morgana folder for short to medium runs on digital stock. We use heat Sealable Edge Reinforcing Film for Reinforcing, this can be applied to the back or the front of the binding edge to make your indexes resistant to ripping out at the punched holes, this is the most secure way to prevent your important documents and papers from ripping from frequent handling.